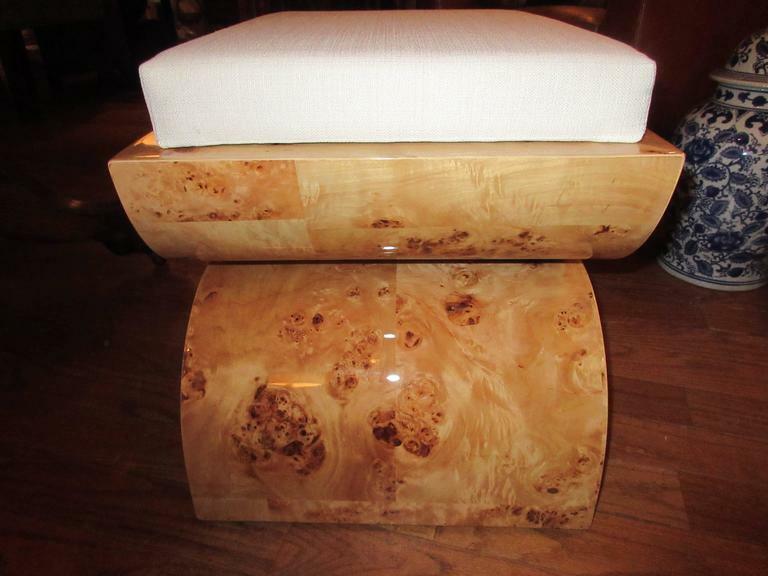 French Art Deco metal arched ottoman or stool, new upholstered cushion in a stunning woven fabric from Morocco. 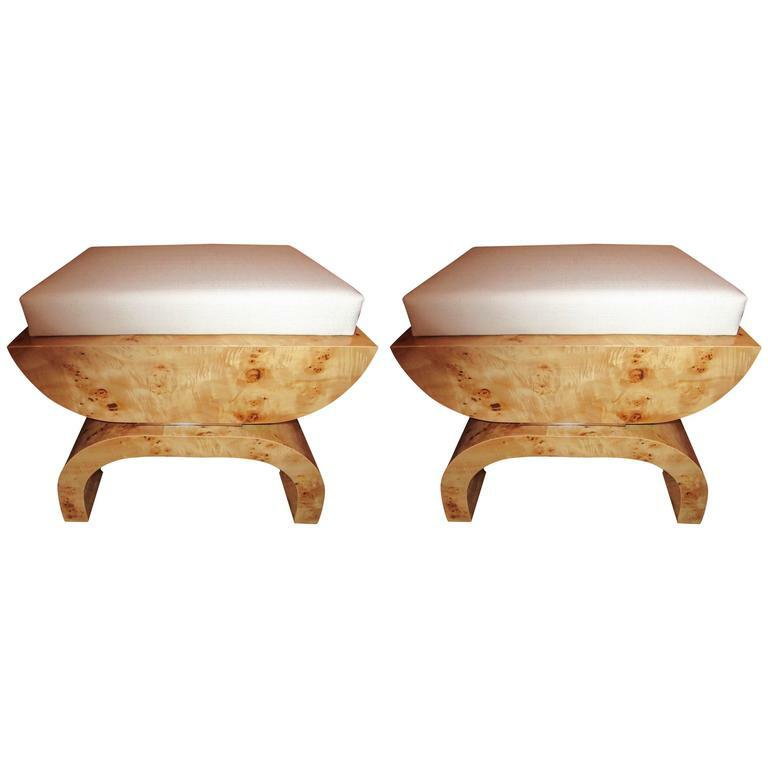 Pair of elegant Art Deco natural parchment X-framed stools with black velvet upholstered cushions, ending on silvered bronze sabots, France, 1930s. 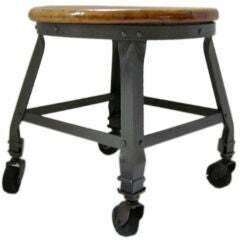 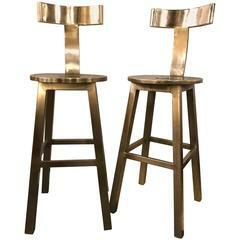 Pair of polished steel and chrome Art Deco style stools or swivel chairs with black leather seats and back. 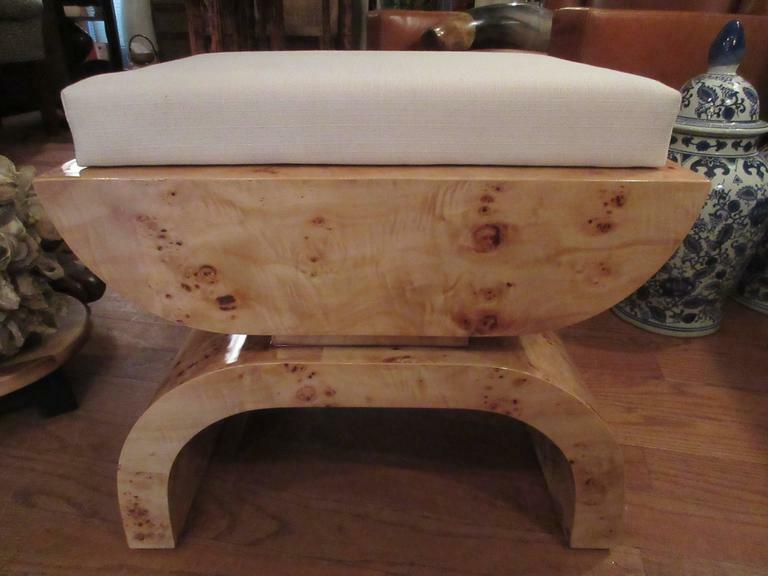 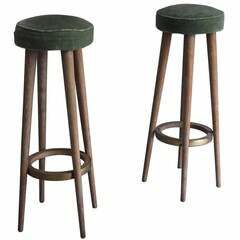 A wonderful pair of stools in the style of Jean Michelle Frank. 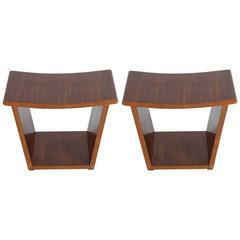 Pair of Italian 1930s Art Deco ractionalist light wood stools. 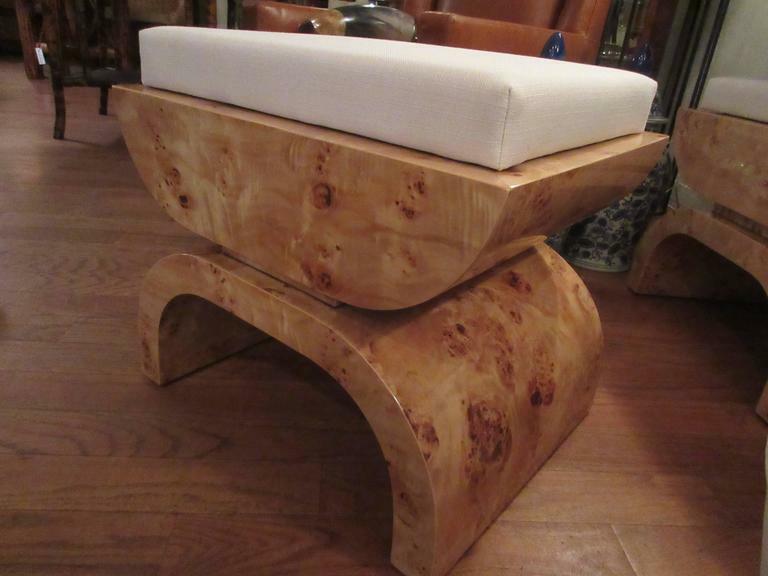 Florence, Italy, Mid-Century Modern. 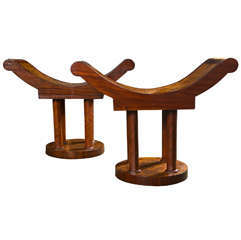 Rosewood and maples Italian 1930s stools elegant shaped.